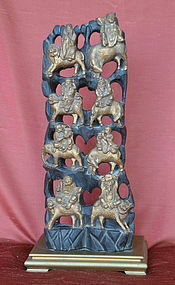 Charming Chinese gilt woodcarving of Eight Immortals on their respective animal vehicles. 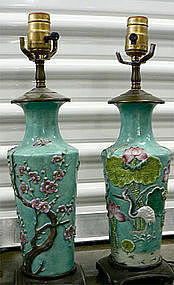 19th/20th century. Measurements: H 19", W 7". A very well executed casting of a striding tiger with darkened bronze stripes, open mouth, inset glass eyes and a raised studio mark on base. Fine condition. 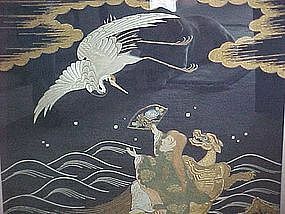 Meiji period (1868-1911). Measurements: H 7 1/2", L 15". A must have for the Year of the Dragon. 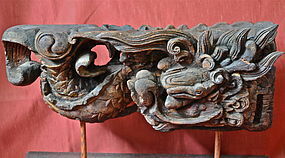 Very striking antique Chinese wood carving of dragon in clouds, traces of red pigment, probably once part of a door lintel, mounted on stand. 19th century or earlier. Measurements: H 10", L 24", D 9". Provenance: Private Collection. 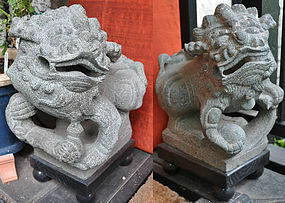 An antique pair of exceptional Chinese stone lions, the female with cub compliments the male with ball. Traces of color pigment. Well carved and executed in great detail. Rare. 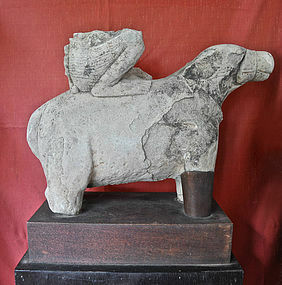 According to provenance, these lions were made in Canton during the China Trade Period. 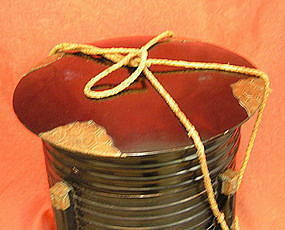 Provenance: Acquired in the 1960s. Measurements: H 14 1/2", W 14 1/2". Each lion weighs about 70 lbs. Provenance: Private Collection. 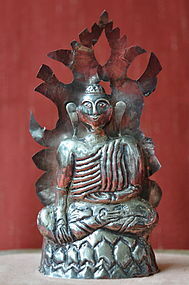 Buddha figure with mandorla, a votive piece, made of silver sheeting over wood, 19th century. 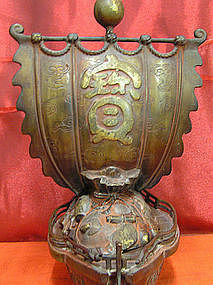 The image of the buddha positioned in "calling the earth to witness" (Bhumisparshamudra). Measurements: H 6". 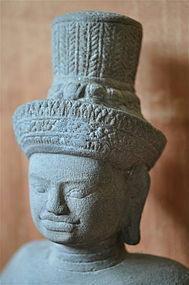 Provenance: Originally acquired in Ayudhya in the 1960s. 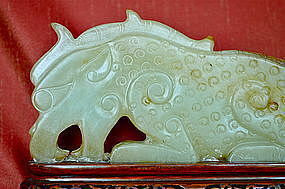 Chinese dragon in archaistic style, perhaps jade, of light celadon color with brown inclusions, decorated in raised and incised fashion. 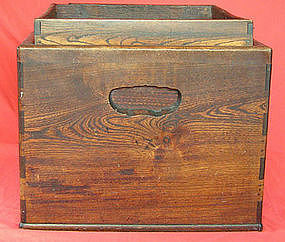 Probably dating from the late 19th or early 20th century. 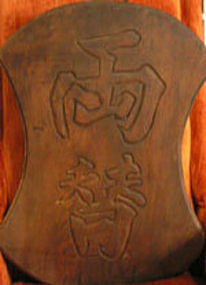 According to provenance information, the piece was brought back from China in the 1950s. Measurements: H 3 3/4", L 8". 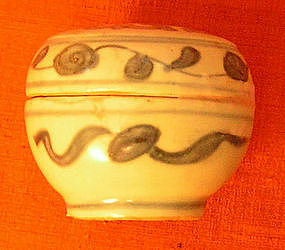 Chinese Cosmetic or Seal Box, in underglaze blue white, very delicately decorated with floral and leaf motifs, and very likely dating from the Wanli period (1573-1620). Measurements: H 3", D 3 1/4". Provenance: Private Collection.